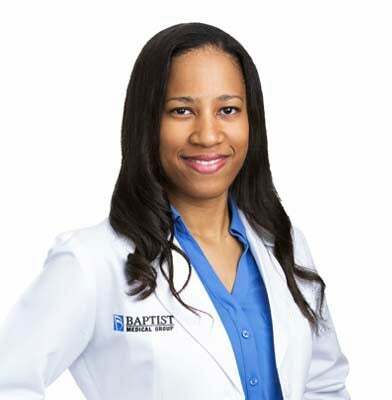 Baptist Health Care is pleased to welcome back fellowship-trained rheumatologist Neilia-Kay McGill, D.O., to its multispecialty physician network. Dr. McGill is a highly skilled rheumatologist who specializes in diagnosing and treating conditions and diseases that affect the joints, muscles and bones at Baptist Medical Group – Rheumatology. Dr. McGill earned her medical degree at the University of the West Indies in Mona, Jamaica and received her Master of Science in clinical dermatology from Cardiff University in Wales, United Kingdom. Dr. McGill completed her residency at Howard University Hospital in Washington, D.C., and her fellowship at the University of Pennsylvania in Philadelphia, Pennsylvania. As part of Baptist Medical Group – Rheumatology, Dr. McGill welcomes new patients at 1717 North E St., Suite 425, in Pensacola. To learn more about Dr. McGill or to schedule an appointment, please visit BaptistMedicalGroup.org or call 850.437.8640.